Superior Aircraft Maintenance, Service and Repairs. Some of our customer aircraft are pictured at right. 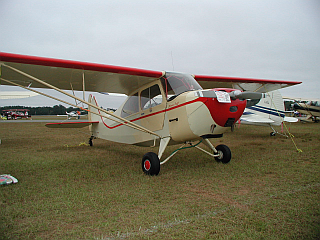 At Champion Flyers we help make the dream of flight a reality by providing superior aircraft maintenance, service and repairs for light aircraft in the Birmingham and Shelby County, Alabama, area. We focus on piston powered airplanes of all sorts, from light sports to light twins. Click on the links above or below to find out more about our staff and facilities, the service options we offer, and how to find us. When you're ready to be a Champion Flyer, drop us an email or give us a call!